Our Teacher Training program is a Registered Yoga School with the Yoga Alliance at the RYT200 and 300hr level. There are two format options for your teacher training with SOYA: an extended format which runs two full weekends a month for approximately four months, and an immersion format which runs everyday for 16 days (with much homework to complete prior to training). 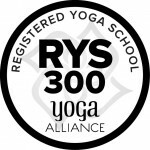 Q: Is your program Yoga Alliance certified? A: Yes. All our programs are Yoga Alliance Certified. Once you have completed the training program and have received your certificate you can apply to Yoga Alliance for their professional designation. Q: What is special about the SOYA teacher training program? A: If you are truly inspired by yoga and the transformation it offers, we invite you to SOYA’s life-changing program. With almost 20 years of training teachers and guided by the highest standards, SOYA gives students a diverse and broad exposure to many styles, lineages and philosophies. Ever evolving, SOYA’s Teacher Training is designed with flexibility, accessibility and transformation at its heart. With its roots in the Sivananda lineage, the training is inclusive of many styles of hatha yoga such as Ashtanga, Sivananda, Yin, Restorative, and Vinyasa all while incorporating thorough study of yoga philosophy. This outstanding aspect of the SOYA Teacher Training embraces unity in all yogis, regardless of their paths and styles of yoga. Students are well prepared to instruct upon completion of the training and we offer ongoing support to our students after graduation as they advance their skills as teachers. Q: What is the payment plan? A: Once the deposit is paid, we can offer a payment plan leading up the start of the training date. This can be done by credit card, cheque or with cash. All training fees must be paid in full before the start date of the training. Q: How can I prepare for the program? A: A regular consistent practice is a must for any yoga teacher. Start a personal practice if possible and attend different classes to get a feel for various teaching styles. Maybe keep a journal to track your thoughts, experiences and ideas. Q: If I miss a day, can I make this up? A: All training days are mandatory in order for you to gain the knowledge needed to be a successful teacher and to have enough contact hours to meet Yoga Alliance Standards. That said, we recognize that sometimes there are legitimate reasons that you will be unable to attend. Missed hours will have to be made up with private sessions from faulty members and will incur an additional charge. Q: Will I be able to teach after the 200hr course? A: Absolutely! Our 200 hour program helps students to understand the roots of yogic wisdom while developing teaching skills and class designs. You will graduate with a set of completed and tested lesson plans so that you can begin teaching right away!